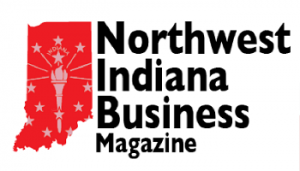 Indiana’s governor believes the Supreme Court’s June 21 ruling, which opened the door for states to collect sales tax from online retailers may give brick and mortar businesses a better chance to compete against web-based companies. The Supreme Court’s 5-4 decision, which upheld a 2016 South Dakota law, opens the door for states to require retailers to collect sales tax even if they do not have a physical location in the state. South Dakota’s two-year-old law requires online merchants with more than $100,000 in annual sales to state residents or 200 transactions with state residents to collect sales tax. The June 21 ruling overturns a 1992 Supreme Court determination that prevented states from collecting sales taxes from online purchases. The National Retail Federation in statement supported the Supreme Court decision. Online retailer Wayfair in a statement said it appreciated the clarity the court’s ruling placed on the issue. “While we believe the court was not the ideal venue for creating this level playing field, we expect that (the June 21) decision will bring clarity and certainty to this issue,” Wayfair said. The Information Technology and Innovation Foundation, a science and technology policy think tank, in a statement said there has been a need to reform the existing system for collecting taxes from online and out-of-state retailers so it’s fair and simple for businesses and consumers to comply. “The ruling is the right step forward for the digital economy. E-commerce has grown up,” said Daniel Castro, vice president of the Information Technology and Innovation Foundation. He said not all states have participated in efforts to streamline its sales taxes systems. The justices’ opinion is available on the Supreme Court’s website.